Hope everyone’s January is off to a great start! Even though here at Junkinator, we live and breathe the art of ridding people of their junk, that’s not to say we don’t get bogged down in too much stuff ourselves. Recently I’ve been hooked on the new Netflix Series, Tidying Up with Marie Kondo – that woman has some serious organizing skills! Here are her tips for starting the tidying up process (scroll about halfway down the page). Inspired by Marie’s show, I decided to tackle the area in my life with the most stuff, my closet! 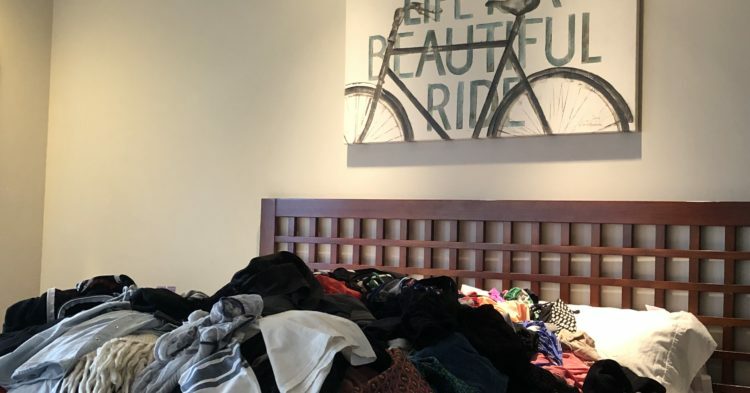 I pulled out every single piece of clothing from my closet – this includes hangers, shelves and drawers and made an obnoxiously large pile on our bed. Wow. 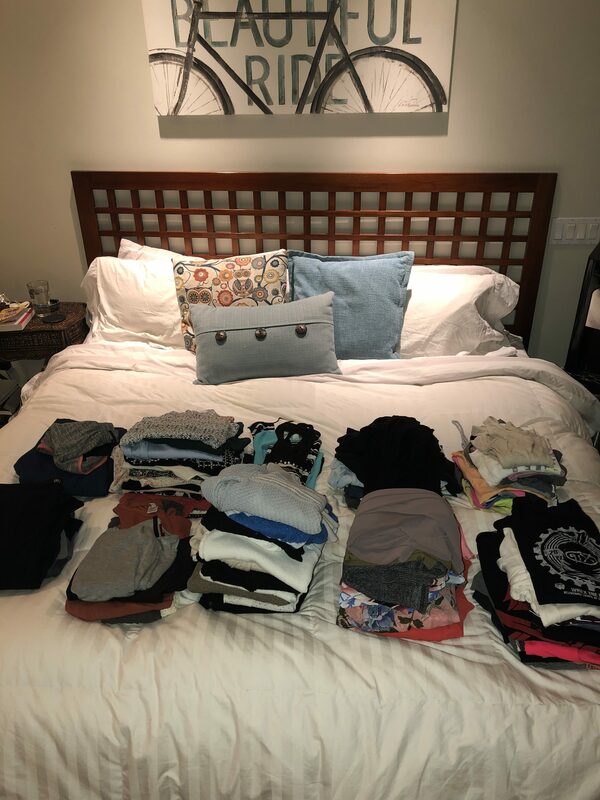 It was a bit overwhelming to see the heap of clothes – especially when I mutter the words all too often “I have nothing to wear”. I allowed myself hours to pour through each and every item, carefully deciding what I would actually wear and what I was holding on to for sentimental reasons. I’m very proud to say that my donate pile was HUGE. I instantly sorted through and picked out items that I thought my 22-year-old stepdaughter would like (best kind of shopping for her graduate school budget). At the end of the day, I feel so much better about walking into my organized and color-coded closet. 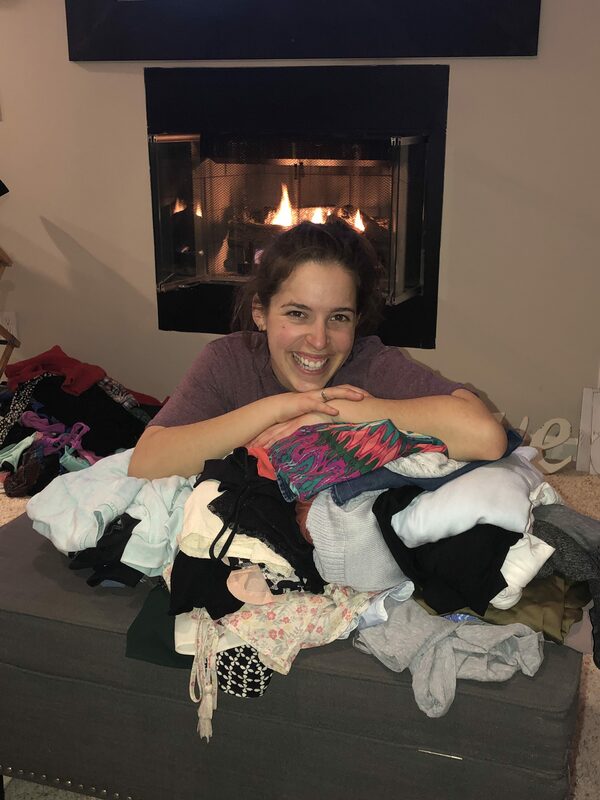 And about the fact that I provided my stepdaughter with some great work clothes that I no longer need, but she desperately did! I still have quite a few bags of clothes to donate, and that makes me feel great. Paying it forward is amazing. Next up I will be tackling my bathroom and office – I’m glad I know a company who can help me take my unwanted items away! Hint: it’s Junkinator Hauling Services! 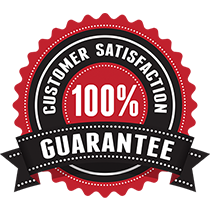 No matter what household project YOU intend to tackle next, let Junkinator Hauling Services be your resource for donating and disposing of your unwanted items. Cheers to a joyful (and tidy!) January to you all. Here are a few links to sites that provide you guides, tips and general things to know about organizing and tidying up your space (you can thank me later).